Will you be downloading Picross E this week? Monday morning means an update on the downloadable delights that European Nintendo fans can expect this week. The long-awaited Picross E is likely to bring a smile to the faces of many, but there's content the DSi and Wii as well. Picross E (Jupiter, £4.50) — Nintendo's beloved Picross series has been doing the rounds since the SNES era, and this latest version promises to be one of the best yet. While we're sure that the vast majority of you will be downloading this regardless, our review will be live on the site as soon as possible. Crazy Hunter (EnjoyUp Games, £4.50/500 DSi Points) — Crazy by name, crazy by nature, EnjoyUp's latest downloadable opus features crocodiles, hens and a worrying amount of candy. As always, our review will be posted as soon as humanly possible, so it might be wise to hold off making an impulsive purchase until then. 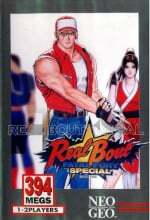 Real Bout Fatal Fury Special (D4 Enterprise, 900 Points) — SNK's popular Fatal Fury series continues with this retro offering. Intense 2D action with loads of different special moves and 19 characters to master, this game is another perfect illustration of why the Neo Geo was the fighting game fan's console of choice back in the day. You can check out our Real Bout Fatal Fury Special review just to be doubly sure. So, will Picross E be taking your money this week, or do you fancy a little one-on-one fighting action? Let us know in the poll below. Finally, Picross e! Can't wait to try picross out for the first time! Can't wait to download Picross E.
Will be my first picross experience. I hope it's good. Picross E looks rubbish compared to Picross 3D. Picross E and The Extreme for Theatrhytm!? @TheAdza - Same! I have never played Picross before either, so I hope it lives up to it's praise for me! It's quite good that they are still releasing WiiWare and Virtual Console games for the Wii. Picross 3D was nowhere near as good as Picross DS. The core game of Picross 3D was very flawed, the fact that not every column or row provided a figure to work from, or having only one figure to work with as opposed to knowing all the numbers in a row/column, well it lead to Picross 3D puzzles having a very linear solving fashion that didn't really tax the mind, so much as it made you simply look for the next thread to unravel. Now Picross DS! Those puzzles actually needed you to utilise logic! Picross E! Yes, it's finally here! Getting Real Bout Fatal Fury Special. Picross is essentially that old pc game with mines right? C'mon, Squenix, add "The Landing" from FF8 to Theatrhythm. Is Europe playing NEO GEO catch up? Really glad though that they are filling in some VC gaps. "but there's content for? the DSi and Wii as well" - Slight error. I'm definitely getting Picross E.
i`ll pick up fatal fury when i get some cash. I agree Picross DS was better than Picross 3D but Picross 3D was a daily thing for me. I enjoyed the simplicity of it all and this kept me coming back for "just one more puzzle". I expected a 3D picross, ie 3DS 3D. Not 3DS 2D. I will wait for a sale before buying. @£2 I am sold. You can have too much picross. I recomend this genre to anyone who hasnt tried it yet. Great time killer. @3dbrains Not everything that comes to the 3DS has to be 3D dude. Picross E, you lucky dogs! I hope we get it in NA soon. No. Not really but similar in a way I suppose. You're chipping away tiles on a grid to reveal a picture using the clues provided. If the clue was "7 - 7" on a 15 x 15 grid, that means there's a line of 7 consecutive tiles, a gap and then another line of 7 consecutive tiles. But if the clue was "3 - 3 - 2" then you don't know if there is a gap at the start or the end or how long the gap is. Fatal Fury without fail. Been waiting for this one for AGES! Could never get into Picross when I got it for VC on Wii.Normally love puzzle games too but found this boring for some reason.It seems many would disagree though. 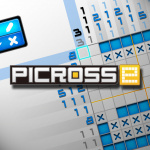 Is Picross E coming to NA? I really hope so. I am nearing completion of Mario's Picross. I will get picross E eventually, but I'm saving my credit for petit computer first. I hope it only costs £7.20 or I'll need to put on more money, plus any more would be a rip-off in my opinion. PLEASE tell me Picross e is coming to the US. Mega man 6 and Mega man x3 (Wii VC) soon I hope. I wonder if Megaman 6 can come to the Virtual Console service in Europe? Megaman 6 never had an NES release in Europe! I will get Picross E for sure. I look forward to a good Picross game for the 3DS for ages. Can't wait. There are plenty of import games on the Wii VC, and there's no rule of only releasing games that were originally released in a specific region. Otherwise I couldn't have played games like Final Fantasy 1,4, and 6, Startropics 2, and Super Mario RPG. Ouch. Bad week for you guys... See? America isn't the only one. Is this being released three days early? (Check the date--the articles says 6 September, not 3 September). I'll probably download Picross. Never played any game in the series before. I've been gewd to you all year my 3DS. Just give me Picross on Thursday dammit! @zane That's Minesweeper. This is much older than computers. Why isn't 'FF Song DLC' an option in the poll? Because that's what I'll be getting this week, both FF IX songs! Picross in the US eShop, PLEASE! ^ Not everyone is a fan of fighting games. 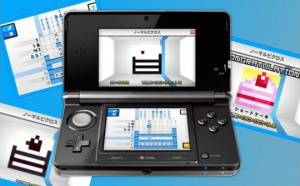 I tried the Picross demo via the DS trial download service on the Wii and was intriguing. So I'll download the 3DS version. It's about time a new FFVIII song comes out! I'm definitely downloading Picross E, assuming it isn't gonna cost more than $10 over here. 3DSware have been getting painfully expensive over here and i'm not gonna support the service if they're gonna overcharge us. US gets download games way cheaper than PAL regions, why should we have to pay extra? I download Picross now ! Any word when Picross E is coming to North America?????? I'll wait for a review of Picross e before jumping in, I've never played a game in the series before so I want to know that it'll be worth my £4.50. Picross e is good. Do we know if it will come with DLC? Fatal Fury Real Bout for me! There are 150 puzzles total, 15 easy, 60 normal, 60 free mode, and 15 Extra. There is no puzzle design mode, or a way to share puzzles. Unlike Picross DS, puzzles do not have themed panels, and you are limited to a single tune for listening to whilst solving puzzles. It is a very bare bones package but still a very solid and well designed one, well worth the £4.50 price point. But this is a very humble package compared to Picross DS. I'm even surprised that there aren't multiple tunes, even Mario Picross offered that. I was disappointed by the lack of content in Picross E. Sure, I played it for almost 2 hours straight after downloading it but I doubt that this will provide the 30+ hours of gameplay that I got out of Mario's Picross. You are comparing a retail release with a downloadable title. Then let's compare Picross E to Pushmo, which has a far larger selection of puzzles, a puzzle designer and a way to share them. New Super Mario Bros. 2 is also a downloadable title now. "Being a downloadable title" isn't a justification for the absence of features like a puzzle designer or just a selection of tunes whilst playing the game. Picross E is definitely worth £4.50 though.